Sometimes the late summer sessions feel uneventful, but they are full of messages for investors. Friday was an example of such a session. 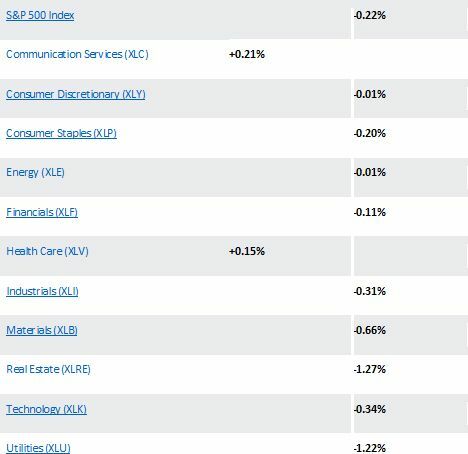 The biggest losing sectors in the session were traditional safe havens of Utilities (XLU) and Real Estate (XLRE), so we didn’t see any panic. As we watched the early action on Friday, it was clear that until President Trump talked about upping the ante on China with respect to tariffs effectively on all the goods and services we import, the market made a remarkable move that I think could have seen the Dow finish up 200 points. On February 2nd, when the January jobs report was released, it sent the market reeling with the Dow finishing down 666 points. The reason then was a reported 2.9% increase in median wages, which is the same exact news we got on Friday morning. Note: that January number was revised to 2.7% in subsequent reports. I actually think the 201,000 jobs tally and wages will be revised higher. All major equity indices bottomed less than ten minutes into the session. The Dow was the last to creep into positive territory, and it was only a matter of time before buy signals would have been triggered. Then came the trade scuttlebutt that sent the market lower, taking out earlier lows- typically a death knell, especially on a Friday summer session. However, the market began to rebound again. While the major indices finished lower, the message of the market was clear. Smart money has been buying dips all week long and put enough money to work on Friday to stave off a big selloff. That being said, there continues to be the dilemma of leadership and the quiet bear market that currently engulfs 20% of The Standard & Poor’s 500 (S&P 500). When in doubt, investors are still willing to seek out a few tech names. I keep talking about the stealth stock market rally, but the damage in stocks that are lower on the year is outright vicious. So many well-known names are breaking support points every day. There are values in the mix, but it’s a worrisome development. I’ll be working on a deeper list of what everyone should be doing. The market wants to go much higher; once the headwinds shift to tailwinds, there could be magnificent upside moves. President Obama came out to declare victory for the economy, and I think it was absurd. The economy America enjoys now isn’t the one we were mired in 2015 and 2016. Moreover, if there is anyone to thank about getting pulled out the ditch, it’s Ben Bernanke. In the last two years of Obama’s presidency, the market edged higher but lost the trajectory from its oversold bounce. The Gross Domestic Product (GDP) growth was really fading after strong back-to-back quarters in 2014, as the U.S. economy slipped into retreat. More recently, the U.S. economy has come on like gangbusters. The Federal Reserve used everything in their proverbial toolbox and invented new schemes and tools that took its balance sheet from $900 billion in September 2008 to $5.5 trillion January 2015. If those trillions of dollars in bailouts had been distributed better, there is a chance the U.S. economy would have fared a lot better now. That being said, it saved the economy, although I’m not so sure it wouldn’t have been better allowing banks to fail. While the near-term damage would have been more severe, the recovery could have been more robust. Speaking of the Fed, they have raised rates five times during Trump’s presidency, and only once under President Obama, and that was after the election. By the way, when it comes to measuring presidents on the economy and the stock market, it should begin the day they’re elected because that’s when everything begins to change for better or worse. Equity futures have been higher all morning as investors will be watching Apple, Tesla and CBS closely. Apple is now in the eye of the US-China trade tiff as president Trump is pushing back against the company’ complaints that it will be hurt by taxes on China exports. In the most recent quarter the company actually enjoyed outsized growth in the United States. In addition, they need to make sure American consumers don’t revolt as people learn more about how many jobs could be moved to this country. The company has to be sure it’s not labeled greedy in the current climate of corporate virtue signaling. Meanwhile Musk is saying the current quarter is the best ever. Is this the weed and whisky talking or could he be correct? If he is right this stock could see a huge rebound. I’m rooting for him to beat the shorts but we are not in the stock – yet. We are not forcing the issue this morning. Thank You Charles, No free lunch is true---you either earned your "free" lunch or you WILL pay for it later. Quote from a childhood cartoon--- For a hamburger today I will gladly PAY you next Tuesday. Just ONE question, Charles: How does (former) President Obama get the juevos to say the current improvement in the nation's economy is all HIS doing? The FED? Yes! Please tell ALL of us any ONE thing the Obama administration did that helped INCREASE employment, improve and bolster the equity markets and/or provide for increased GDP....PLEASE. Just ONE instance of how HE (Obama) is responsible for our currently accelerating economy. Thank you. I wait in the GREATEST of anticipation for your response...today, or in any of your FUTURE postings. Best regards!